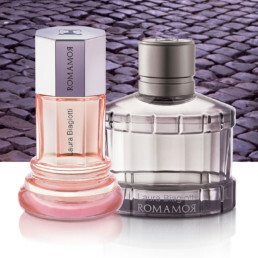 With this new fragrance we pay tribute to our love for Roma, yesterday, today and tomorrow. 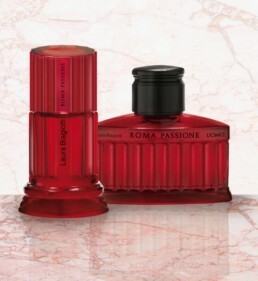 Roma is an iconic fragrance, launched in 1988 and loved by women and men around the world. One smell of this and you will feel like you are in modern Rome. 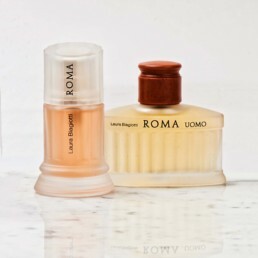 Roma Eau de Toilette Rosa and Roma Uomo Eau de Toilette Cedro keeping up with tradition but with a hint of rose. 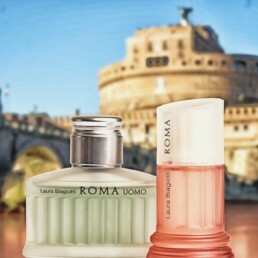 Laura and Lavinia Biagiotti once again reveal their love for Rome with two new fragrances dedicated to passion. We know that all roads lead to Rome, the ideal city for lovers but also a place that people love. It is featured in classic films like “La Dolce Vita” and “Roman Holiday”. 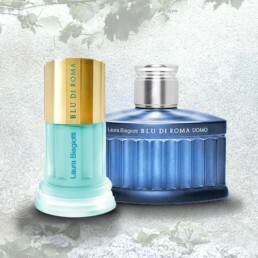 Blu di Roma, a contemporary, fresh, light fragrance inspired by the splendorous blue nuances of the roman summer and the charm of an adventure in the city that invites to dream of a never-ending holiday. Laura and Laura rosè are fresh and delicate fragrances, like watercolour masterpieces. The recognisable jus on the skin are like olfactory tattoos that dance with the colours of nature. Iridescent tones are first fruity and flowery and then gluttonous, and open up the gaze into new horizons. 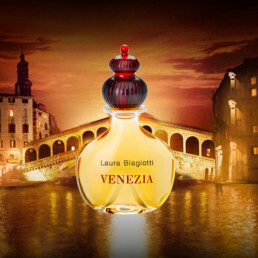 Laura Biagiotti Venezia is a cult fragrance of the Italian olfactory panorama launched in the 90’s. The fragrance is not merely a pure expression of contemporary femininity: it is also the designer’s tribute to a city she dearly loves, a magical place of inspiration, a city to admire, and the perfect place for falling in love.